The piano company of François Soufléto was established in Paris in 1827. Soufléto had worked for both Érard and Roller et Blanchet prior to forming his own company. 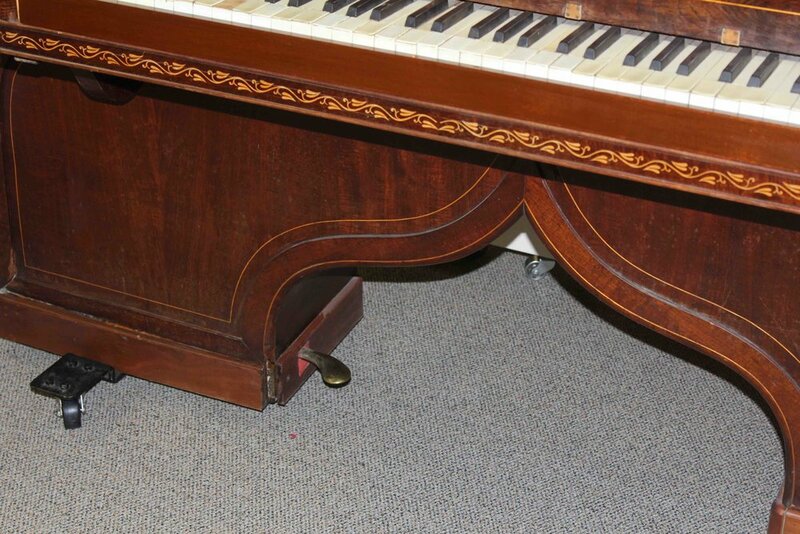 The case style of this piano is commonly referred to as "piano pont" (bridge piano) or "niche de chien" (dog kennel) because of the arched space at the bottom of the case. The design was first introduced by the firm of Roller et Blanchet in 1827, and was so popular that it was copied by many other makers. Our piano is one of Soufléto's very first, made prior to 1830 (when he moved to a location different from the one listed on the nameplate). The interior layout is based on that of the square piano, which was the most common household piano at that time: the strings run diagonally, with the bass strings extending from the top left corner to the bottom right. This gives considerable length to the strings for such a relatively short piano, but does require a fairly tight spacing of the hammers. Obliquely strung pianos were the most common style in France, while vertically strung pianos predominated in England. 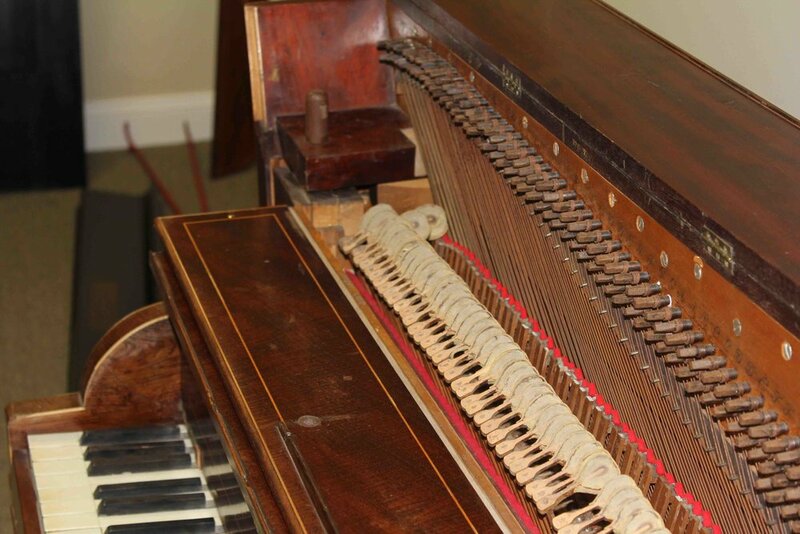 Over time, there were "semi-oblique" pianos as well, where the longest plain wire string extended to the bottom right corner, and the bass strings were attached to hitch pins along the bottom. French makers also made vertically strung pianos, after the design of the English "cottage" piano, and gave them the name "pianino."